There’s an episode of the hit TV series “How I Met Your Mother” where the characters of Marshall and Lily decide to buy a home in a neighborhood they are unfamiliar with, only to learn later that it sits downwind from a sewer plant. The show’s message is obvious: A buyer must do his or her due diligence on prospective neighborhoods to make the best real estate decisions. Welcome to Ann Arbor, Michigan. For starters, investigate the local school district whether you have kids or not. Being located near good schools boosts your property value. Research the closest parks and community centers and consider how busy streets impact the neighborhood. Visit the neighborhood at all times of the day. Drive by in the morning, during the day, in the evening and at night before making an offer. You may notice that there is a lot of traffic in the morning or maybe a future neighbor is part of a garage band that practices at night. A neighborhood can change throughout the day so it is essential to see it at all hours. Speaking of possible noisy neighbors, when profiling the perfect neighborhood you should introduce yourself to your prospective neighbors. Walk through the area and say hello to people, and ask them for their impressions of the neighborhood. While you’re at it, look around. Are there lots of kids on the block? Do people walk or jog through the neighborhood at night? People make just as much impact on the quality of the neighborhood as the homes do. Don’t forget to map out stores and restaurants in the area. You may be used to a five-minute walk to the local grocery store, only to find out that your new home is 25 minutes away by car from the nearest place to buy milk. Lastly, make sure to find out if your potential new home is part of a neighborhood association bearing regular fees, and if your community has lawn or construction restrictions. A good agent can furnish you with a wealth of local information, and will take you on a tour of the closest commerce centers, restaurants and shops. With a little groundwork you can help ensure that your dream house is surrounded by a dream neighborhood. 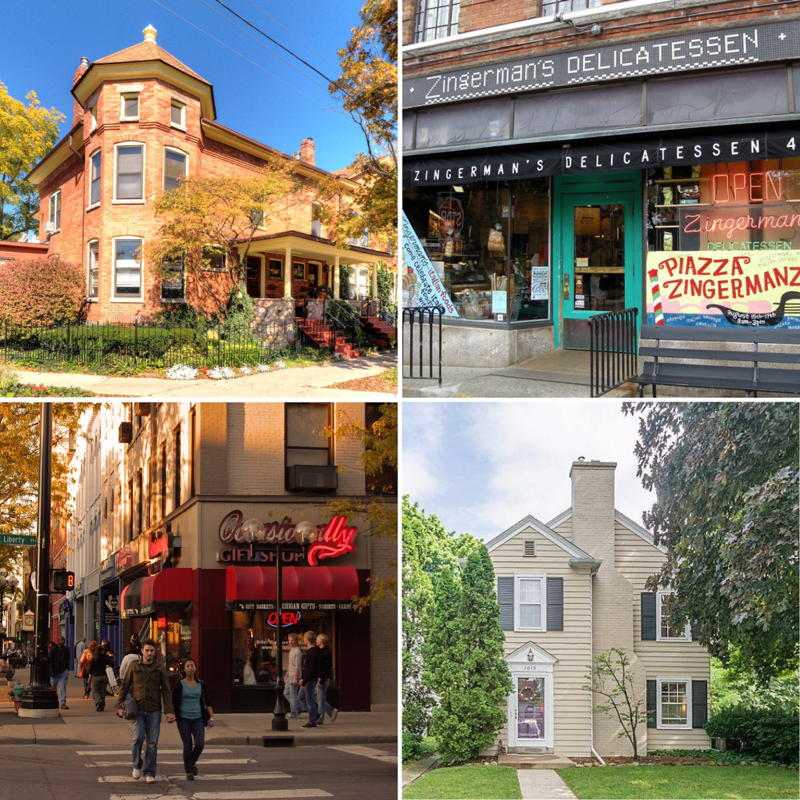 Start learning more about the Greater Ann Arbor Area neighborhoods over at our community guides today!